‘I still hate the glow of the sun’: Hiroshima survivors’ tales, https://au.news.yahoo.com/thewest/a/31704344/i-still-hate-the-glow-of-the-sun-hiroshima-suvivors-tales/ May 26, 2016, Hiroshima (Japan) (AFP) – For survivors of the world’s first nuclear attack, the day America unleashed a terrible bomb over the city of Hiroshima remains seared forever in their minds. Though their numbers are dwindling and the advancing years are taking a toll, their haunting memories are undimmed by the passage of more than seven decades. On the occasion of Barack Obama’s offering of a floral tribute on Friday at the cenotaph in Hiroshima Peace Memorial Park — the first ever visit by a sitting US president — some of them share their stories with AFP. Emiko Okada, now 79, was about 2.8 kilometres (1.7 miles) from ground zero and suffered severe injuries in the blast. Her sister was killed. “All of a sudden a flash of light brightened the sky and I was slammed to the ground. I didn’t know what on earth had happened. There were fires everywhere. We rushed away as the blaze roared toward us. “The people I saw looked nothing like human beings. Their skin and flesh hung loose. Some children’s eyeballs were popping out of their sockets. “I still hate to see the glow of the setting sun. It reminds me of that day and brings pain to my heart. “In the aftermath, many children who had evacuated during the war came back here, orphaned by the bomb. Many gangsters came to Hiroshima from around the country and gave them food and guns. EUROPE. Centre for Security Studies explains NATO Nuclear Sharing. Nordic nuclear power plants hit by unprecedented heat wave. Europe’s nuclear reactors affected by heat waves. JAPAN. Ahead of Olympic Games, Fukushima nuclear power plant gets an extreme makeover. Japan’s NRA plans nuclear wastes burial at least 70 meters deep for about 100,000 years. Fukushima Unit 2 Refueling Floor Work Poses Risks. TEPCO’s Plan For Some Of The More Dangerous Work At Daiichi. No Long Term Storage Location for Fukushima Daiichi Spent Fuel. UK. £10bn Moorside nuclear power plant plunged into further doubt. Wylfa nuclear power to be very expensive for both taxpayers and consumers. Sorry history of UK’s Moorside nuclear project, and why it might well be abandoned. Climate change will bring sea level rise – bringing danger to Hinkley Point C nuclear site. Asteroid explosion near a US early warning radar base – could have triggered a nuclear war. Pentagon had a plan for “dirty nuclear bombs”. An honest accountant – had to leave SCANA nuclear project rather than tell lies. USA’s bailout for coal and nuclear industries could cost over $34 billion. 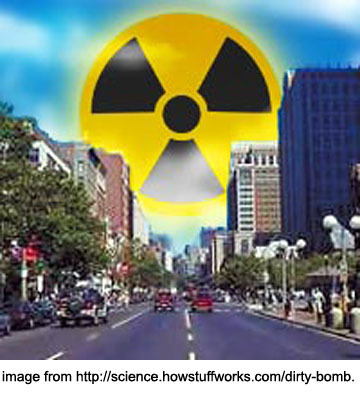 Legal repercussions continue after two South Carolina nuclear fiascos. U.S. Navy’s $1 Billion Plan for Breaking Down Old Nuclear-Powered Carrier. State of New Mexico not able to stop Holtec’s nuclear waste plans. Las Cruces city – resolution opposing transport and storage of nuclear wastes. Wolf Creek, Kansas, to be stuck with stranded nuclear wastes for 60 years or more. CANADA. Nuclear Waste Management Organization (NWMO) of Canada bribing struggling towns to have nuclear waste dump. Secret transport of nuclear wastes from Illinois to Port Huron? Canadian university develops new particle accelerator to supply medical isotopes. University of Alberta’s Medical Isotope Cyclotron Facility – medical radioisotopes without nuclear reactor. Consulting deal with Franklin L. Haney could have been among the most lucrative struck by president’s then-personal attorney, WSJ, By Michael Rothfeld, Rebecca Ballhaus and Joe Palazzolo, 2 Aug 18. A major donor to President Trump agreed to pay $10 million to the president’s then-personal attorney if he successfully helped obtain funding for a nuclear-power project, including a $5 billion loan from the U.S. government, according to people familiar with the matter. Had he been paid the success fee, Mr. Cohen’s deal with Mr. Haney could have been among the most lucrative of the known consulting agreements he secured after Mr. Trump’s election by emphasizing his personal relationship with the president, according to people familiar with his pitches. The president has since severed ties with Mr. Cohen, who is under federal investigation in New York in connection with his work for Mr. Trump and private business dealings. Investigators are also examining potential campaign-finance violations and bank fraud…….. Under the contract, Mr. Haney agreed to pay Mr. Cohen a monthly retainer in addition to the $10 million success fee if he could help obtain the funding, including approval of the full amount of the project’s application under a U.S. Department of Energy loan program, the people familiar with the deal said. Mr. Cohen’s fee would be reduced proportionally if he helped obtain less funding than the contract stipulated, according to a person familiar with the agreement. A loan application by Mr. Haney’s company is still pending at the Energy Department. Mr. Cohen hasn’t communicated with Energy Secretary Rick Perry about Mr. Haney’s project, according to the Energy Department. Mr. Cohen made several calls to officials at the Energy Department in the spring to inquire about the loan guarantee process, including what could be done to speed it up, according to a person familiar with the matter. The Wall Street Journal couldn’t determine how much Mr. Haney may have paid Mr. Cohen, if anything, in monthly retainer fees……. Mr. Cohen’s work for Mr. Haney included participating in an April 5 meeting during which he helped the donor pitch the vice chairman of the Qatar Investment Authority, Sheikh Ahmed bin Jassim bin Mohamed al-Thani, on a possible investment in the nuclear plant, the Journal reported in May, citing people familiar with the matter. …..
Mr. Haney’s company, Nuclear Development, entered into a $111 million contract in November 2016 to purchase the partially completed Bellefonte Nuclear Plant from the Tennessee Valley Authority. Mr. Haney has until November to close on the purchase. A month after the purchase agreement, in December 2016, Mr. Haney donated $1 million to the Trump inaugural fund through a corporate entity, Federal Election Commission records show. …. An asteroid has exploded in a ‘fireball’ near an American early warning radar base, prompting a top scientist to reflect on how a similar ‘freak’ incident could cause nuclear war. The meteor was only detected after it detonated close to Thule Airbase, Greenland, on July 25. A prominent nuclear expert later discussed how the US military could have mistaken the explosion for a Russian ‘first strike’ and launched up to 2,000 nukes in retaliation. Thule is a base in Greenland which incorporates a Ballistic Missile Early Warning Site designed to spot nuclear doomsday weapons flying towards America. Hans M. Kristensen, director of the Nuclear Information Project at the Federation of American Scientists, tweeted: ‘We’re still here, so they correctly concluded it was not a Russian first strike. ‘There are nearly 2,000 nukes on alert, ready to launch.’ Kristensen told Metro that a ‘freak incident like this could potentially trigger an alert that caused the United States to overreact’, although he stressed such an event was unlikely. ‘The potential risks are about what could happen in a tense crisis where two nuclear powers were at each other’s throats and a conventional shooting war had broken out and part of the command and control system degraded,’ he said. ‘The early warning systems are supposed to be able to differentiate and in most cases probably would be able to do so. ‘But with large number of nuclear weapons on high alert, the concern would be that an overreaction could trigger a series of events that escalated the conflict significantly. ‘There have been cases during the Cold War where atmospheric events caused early warning systems to falsely report nuclear attacks. Fortunately, military officers figured out that they were false alarms.’ He said tensions were low at the moment, making it very unlikely that an asteroid strike would trigger a nuclear war. ‘I don’t think there is any risk that such an event could trigger a nuclear launch under normal circumstances,’ Kristensen continued. ‘There are no other indicators that nuclear adversaries at this point are about to launch nuclear weapons against the United States.’ The asteroid hit on July 25 and exploded with a force of about 2.1 kilotons, Nasa confirmed. This is about an eighth of the 15 kiloton yield of the Little Boy bomb, which was used to destroy Hiroshima in World War II. In 1968, a United States Air Force (USAF) B-52 bomber carrying four hydrogen bombs crashed into sea ice near Thule, causing a huge explosion and forcing a massive clean-up operation. The chair of a New Mexico legislative committee that monitors radioactive and hazardous materials in the state says he finds it troubling Attorney General Hector Balderas has concluded the state cannot legally stop a New Jersey-based company from the building a nuclear waste storage facility. The facility, to be located in western Lea County, could eventually store up to 10,000 shipments of spent nuclear fuel, as much as 120,000 metric tons of high-level radioactive waste, from nuclear power plants around the country. It would be stored just below the surface. The facility is intended to be a temporary storage site, storing nuclear waste only until a permanent storage facility can be built. But opponents fear that it could become permanent because plans for a long-term repository at Yucca Mountain, Nevada, have stalled because of opposition. Sen. Jeff Steinborn, D-Las Cruces, said Wednesday that New Mexico should have a say about the proposal and that he was disappointed in the attorney general’s opinion, The Hobbs News-Sun reports . “It’s troubling that a project of this magnitude with this much exposure to the state — I mean exposure in the sense of the hazardous materials involved and long-term ramifications of it being here — that our state would not have a say in being able to approve it or not,” said Steinborn, who chairs interim Radioactive and Hazardous Materials Committee. Balderas said in a letter last month the state cannot legally stop Holtec International from temporarily storing up to 100,000 metric tons of high-level nuclear waste in New Mexico. Balderas cited the Atomic Energy Act of 1954, the Nuclear Waste Policy Act of 1982 and two court cases clearly establishing two principles. “(F)irst, that the NRC has the statutory authority to license and regulate consolidated interim nuclear waste storage facilities, and secondly, that the comprehensiveness of that federal regulatory scheme pre-empts virtually any state involvement,” Balderas wrote. ……….We don’t know how long the Army continued to work on these dirty bombs. The Pentagon only declassified these two reports in 2000 as part of larger project to determine how many servicemen and women might have been exposed to dangerous radiation in such experiments over the years. The information had been kept secret under the Atomic Energy Act of 1946. Compared to wind farms and solar parks, nuclear power plants are, in general, extremely expensive to operate and terrible for their surrounding environments. Florida Power & Light’s Turkey Point Nuclear Generating Station in Homestead certainly has not done good things for the local water supply. The power plant’s infamous canal system, a nuclear-fluid cooling setup used nowhere else on Earth, has leaked salt water into Miami’s major drinking-water aquifer and spilled trace amounts of radioactive materials into Biscayne Bay. SACE now says the Nuclear Regulatory Commission (NRC), the federal body tasked with renewing Turkey Point’s license, should deny FPL another 20-year extension until the company puts a hard plan in place to get rid of the canal system once and for all. Instead, SACE simply wants FPL to build some normal nuclear cooling towers so the site can at least function like every other nuclear power plant in America. In short, SACE’s scientists contend FPL hasn’t done the basic scientific work necessary to ensure the cooling-canal system won’t continue polluting Miami’s waterways. SACE says FPL has underestimated the power plant’s environmental impact on the surrounding environment. The nonprofit also says the cooling canals are leaking chemicals such as tritium, nitrogen, phosphorous, and chlorophyll into Biscayne Bay, as well as wiping out seagrass habitats that are crucial for alligator nests, among other animals. SACE’s latest legal filing merely requests a hearing with the NRC, an agency that tends to rule in favor of major power companies in these kinds of cases. SACE says it expects the NRC to respond to the hearing request sometime this fall. Traditional owners “locked out” of nuclear waste vote, InDaily, 3 Aug 18 Stephanie Richards The head of the Adnyamathanha Traditional Lands Association says the majority of Adnyamathanha people have been denied a vote on a proposed radioactive waste management facility near the town of Hawker in the Flinders Rangers. Wallerberdina Station, located approximately 30km northwest of Hawker on Adnyamathanha country, has been shortlisted by the Federal Government for a facility that will permanently hold low-level nuclear waste and temporarily hold intermediate level waste. It is one of three sites, the other two situated close to Kimba, that were shortlisted by the Federal Government to store nuclear waste. The selection process is entering its final stages, with a postal ballot beginning on August 20 to measure community support for the three nominated sites. But ATLA CEO Vince Coulthard said the voting guidelines were disrespectful to traditional owners, as the majority of Adnyamathanha people do not live close enough to the proposed Wallerberdina site to be eligible to vote. The voting range includes residents of the Flinders Ranges Council and those who live within a 50km radius of the Wallerberdina site. According to Coulthard, there are approximately 2500 Adnyamathanha people in total but only about 300 Adnyamathanha people who live in the voting range. Coulthard said about 50 Adnyamathanha people who lived outside the voting range had expressed interest in voting, but when ATLA asked Federal Resources Minister Matt Canavan during a consultation trip to Hawker last week if those people could be granted a vote, Coulthard said Canavan told him that only those living in the prescribed voting range could participate. “It’s a crazy situation,” Coulthard said. “This is Adnyamathanha country and it is a very important place to the Adnyamathanha nation. ……… Coulthard said he was disappointed that Canavan had not consulted with all ATLA members during his consultation visit. He said Adnyamathanha people had been “locked out” from the vote, despite holding native title rights over the land. “Canavan is saying this will strengthen our culture, that this will be good for us, but what it is actually doing is punishing the environment. “This is a place where we have gone to get bush tucker, where we have come as traditional owners for thousands of years. The proposed site holds sacred meaning for Adnyamathanha people, as it is located close to the Hookina Waterhole and ancient burial sites. …….. Last month, the Federal Government tripled the incentive package for the community that hosts the nuclear waste repository. The Government had promised to spend more than $10 million in the district where the facility is built, but under new incentives announced by Canavan, the Government increased funding to $31 million. Morrison cited several fears some of the townsfolk have about the project, such as negative impact on tourism, water contamination from the DGR boring project and the risk of accident while transporting high level waste along the highway. Nuclear waste debate divides Northern town Ben Cohen Special To The Sault Star, August 3, 2018 Hornepayne, Ont., a community of 980 people about 400 kilometres northwest of Sault Ste. Marie, is one of the five finalists to see who becomes home to a nuclear waste facility. When asked if there was a plan in place if all five of the finalist communities, Huron-Kinloss, Ont., Ignace, Ont., Manitouwadge, Ont., and South Bruce, Ont., back out of the project, Hammond indicated there isn’t, because that would be impossible. New plan would leave spent nuclear fuel at Wolf Creek until 2105 http://www.wibw.com/content/news/Kansas-Corporation-Commission-approves-new-plan-for-Wolf-Creek-decommissioning-489928701.html TOPEKA, Kan. (WIBW) — The Kansas Corporation Commission revised the decommission plans for the Wolf Creek Generating Station. The KCC approved a different method than before on Thursday. Previously the commission had approved what is called the DECON method which assumes that the U.S. Department of Energy will take the spent fuel at the decommissioning time and costs $814 million. The nuclear plan in Burlington has been operating since 1985 and will decommission in 2045. The plan approved Thursday, SAFSTOR, keeps the spent fuel at the facility until the unit is removed 60 years later in 2105. It will cost $1.09 billion. Westar is part of the Wolf Creek Nuclear Operation Corporation (WCNOC) and rates for their customers will increase with the plan. Spokesperson for Westar and KCP&L Jeremy McNeive said SAFTSOR is actually the better option for Westar customers. The WCNOC also includes Kansas City Power & Light, Kansas Gas and Electric and Kansas Electric Power Cooperative. The decommission order goes under review every three years to make adjustments for inflation and any other factors. Despite former President Obama’s much-publicised rhetoric on the need for concrete action towards a nuclear weapons free world, work on the modernisation of US B61 bombs began under his administration and is receiving continued support from President Trump. In addition, NATO has embarked on improvements to its security and infrastructure, which alliance members will pay for. These are taking place at the USAF base at Incirlik, in Turkey and at the USAF base at Aviano, Italy. The B61 bomb modernisation programme is being driven by the US National Nuclear Security Administration (NNSA), which aims to upgrade and expand the lives of about 400 of the 520 B61 bombs in its inventory for approximately twenty years, through a Life Extension Program (LEP). More precisely, the NNSA plans to consolidate the four existing types or ‘MODs’ of the B61 bombs into one MOD—the B61-12. Key results of the planned modernisation will be to: make the existing ‘dumb’ bombs three times more accurate by adding a new tail kit and internal guidance system; allow the use of the weapons for both tactical and strategic missions; and for delivery by both fighter jets and long-range bombers. Completion of the first new B61-12 bomb is set for 2020, with work on the remaining bombs planned for 2024. Such improvements, which, NATO argues, have been made to decrease the risk of radioactive fallout and result in fewer civilian casualties, have led to critics arguing that these weapons could be seen as more usable. Analysts such as Hans Kristensen have therefore concluded that the increased military capabilities provided by the new B61 bombs will signal to Russia that “it is acceptable for it to enhance its non-strategic nuclear posture in Europe as well”. Russia could do this by deploying its own TNW closer to NATO’s eastern border as well as keeping nuclear capabilities, which are, the US argues, in violation of the Intermediate-Range Nuclear Forces (INF) Treaty. Critics have also pointed to the major costs involved in the LEP, estimates for which range up to $25 million per bomb. Some also argue that the programme is unnecessary given the capabilities of the existing arsenal, simpler options for life extension and the possibility that the weapons could soon be withdrawn from service. Controversy has also dogged the replacement of nuclear host countries’ nuclear-capable aircraft, which are all set to retire in the 2020s. The Lockheed Martin F-35A is seen as particularly suitable for nuclear missions and can be modified to carry B61-bombs. However, whilst several NATO members, including Italy, the Netherlands and Turkey, have committed to purchasing the F-35A, nuclear host nations Belgium and Germany have proved more reluctant, both for cost reasons and because of their interest in procuring alternative, European-made aircraft. Like the Greeks in 2001, failure to procure suitable new aircraft could lead to them ceasing to participate and host TNWs. What are the political dynamics of NATO nuclear sharing? As NATO’s Strategic Concept of 1999 explains, “the fundamental purpose of the nuclear forces of the Allies is political” since these weapons “provide an essential political and military link between the European and the North American members of the Alliance”. The two key aspects of this ‘link’ are that it is: i) hierarchical, with Washington leading; ii) legitimating, so that political elites in NATO member states visibly assent to the dominant US presence and role in Europe. A common objection raised by those who argue that NATO nuclear weapons should be removed from the continent is that the alliance’s conventional superiority in relation to Russia means that there is no military need for these weapons. If these weapons no longer have a meaningful military role, it is argued, then they are no longer justifiable from a political perspective. In response, the value of NATO TNW as a bargaining chip in arms control and disarmament negotiations with Russia is sometimes raised. Arguably, Moscow does not maintain its TNW in order to balance against NATO TNW, but because of the disparity it suffers in terms of conventional military forces in Europe. NATO’s unwillingness to scrap its TNW also tends to warrant Moscow’s inaction and opacity regarding its own TNW. Various studies and opinion polls show that several alliance member governments as well as many experts, civil society groups and significant numbers of citizens want TNW removed from their countries. The Belgian, German and Dutch governments have all officially acknowledged that they favour the withdrawal of TNW from their territories. Yet they have qualified this position by stating that withdrawal can only take place if there is consensus on the move by all 28 NATO members. However, there is a range of different positions within NATO on nuclear matters, for example, on the value of deterrence and disarmament. Such dynamics help explain the alliance’s inherent caution and conservatism regarding nuclear decision-making. Other areas of political controversy involve safety and security issues. For example, the 2016 attempted coup in Turkey led critics to question how secure nuclear weapons were at the Incirlik airbase, which is also close to the Syrian border. Another possibility is that the command and control protocols for the weapons preventing unauthorised use could be overridden. Such concerns have led opponents of the weapons, such as German President Frank-Walter Steinmeier, to describe them as ‘absolutely senseless’ and potential targets for terrorists. Another notable dimension to nuclear sharing is that US allies in other regions—such as North East Asia—closely observe how Washington handles its extended deterrence relations with NATO. Some analysts have thus proposed that US nuclear sharing be extended to South Korea and/or Japan given current instability in the region. Again, the rationale of disincentivising these allies from independently developing nuclear weapons in response to nuclear-armed rivals (i.e. North Korea) has been advanced. How does nuclear-sharing fit with arms control, non-proliferation and disarmament regimes? A common view in Europe and beyond is that the continued deployment in Europe of US TNW is a contravention of the nuclear non-proliferation treaty (NPT), which commits its members to “further diminish the role and significance of nuclear weapons in all military and security concepts, doctrines and policies”. Despite pressure within several nuclear sharing states for change, both the conventional and nuclear arms control and disarmament agenda are frozen. This is mainly due to the poor relations between the US and Russia, as well as the lack of political will in NATO governments to push these issues forward. Civil society groups have long called for the US to realise its NPT non-proliferation and disarmament obligations by repatriating its TNW to US soil prior to their dismantlement. Former US Ambassador Steven Pifer has previously recommended that the two nations take: i) confidence-building and transparency measures; ii) parallel unilateral steps to freeze or reduce TNW stockpiles; and iii) begin negotiations aimed at a legally-binding TNW treaty with verification measures. Nuclear experts Pavel Podvig and Javier Serrat have recently argued that TNW should continue not being deployed during peacetime and that this should be codified into a “legally-binding, verifiable arrangement” to reduce crisis escalation and the risks of nuclear war. Other analysts such as Dr Andrew Futter have also highlighted the existence of other options, such as moving US TNW to bases in new countries or concentrating them in Italy and Turkey, but note that these ideas raise several problems. Russian analysts, meanwhile, argue that conventional arms control—such as an updated Conventional Forces in Europe treaty—would need to be implemented if Moscow is to further reduce its TNW. In March 2011, NATO created a new Committee on WMD Control and Disarmament to provide oversight and policy discussion in this area, but it is unclear what this body has hitherto accomplished. Tim Street is an Associate Fellow of the Oxford Research Group’s Sustainable Security Programme, specializing in nuclear security and disarmament issues. Unlike traditional nuclear methods of generating isotopes for medical imaging, the new particle accelerator at South Campus can generate a wider range of isotopes without producing nuclear waste. The particle accelerator, known as a cyclotron, can produce enough isotopes for 1,000 diagnostic procedures a day – enough for both Calgary and Edmonton. John Wilson, the facility’s manager said the technology may soon replace nuclear reactors in providing medical isotopes for major cities across Canada. “We’re the first to show that it can be produced to this quantity,” Wilson said. More than 70 percent of the world’s diagnostic imaging is done using technetium-99m, a radioactive tracer. When fused with a drug or other molecule, its passage through the body can then be monitored using gamma cameras. Wilson said the method can be used to track tumour growth and drug metabolism in cancer patients. Technetium-99m has been traditionally supplied through splitting atoms in a nuclear reactor to produce molybdenum-99, which then decays into technetium-99m. However, only six percent of the material produced in a nuclear reactor can be used, the rest is nuclear waste. Using a particle accelerator, Wilson said technetium-99m can now be produced directly by firing a stream of protons at a target material. The method bypasses the safety and environmental concerns surrounding traditional nuclear reactors. But Wilson said what makes the cyclotron useful is its ability to generate difficult to produce medical isotopes. While most hospitals and clinics continue to rely on technetium for gamma imaging, Wilson said the technology is slowly being replaced with positron emission tomography (PET) scans. By varying the target material used in the cyclotron, the technology can produce other medical isotopes like radioactive fluorides for PET, something traditional nuclear reactors cannot produce. Since 2010 the Canadian government has been investing in the creation of alternative medical isotope sources. In 2009, countries across the globe faced a medical isotope shortage when the two major nuclear reactors producing technetium-99m were briefly out of service. The National Research Universal Reactor in Chalk River, Ontario was closed due to a heavy water leak the same period the High Flux Reactor in Petten, Netherlands was shut down for a month-long maintenance. After 61 years of operation, the Chalk River reactor has since been decommissioned in 2016, and Wilson believes the 57-year-old High Flux Reactor in Petten likely won’t last much longer. While the cyclotron is ready for use, Canada’s federal and provincial governments have yet to determine how the technology may be implemented across the country and how it may be integrated into existing healthcare practices. However, Wilson is optimistic that the new cyclotron will set the province up for success down the line as the demand for technetium shifts.